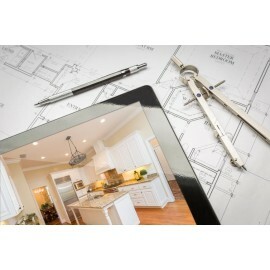 Bathroom Tech provides a customised service to craft custom-made furniture to suit your space. We can design and make a range of innovative, stylish and functional products, to suit the customer’s environment and lifestyle. We only use the highest of quality products. Our Quality Custom Joinery Please click on images to view our full range. We use a variety of products such as stone, tiles, glass, solid timber, polyurethane, touch catch equipment Blum motion and many more. We work with the client to help achieve the kitchen they desire, which works with their lifestyle and environment. Priding ourselves on cutting-edge design our clean lines and stylish designs will bring a simple elegance to any bathroom. Our bathroom vanities come in a variety of colours and finishes ranging from a glossy white lacquer finish to melamine-faced particle board in a wide variety of wood finishes. The draws can be divided into compartments giving you plenty of storage room for all your products or if you want shelves we can design them as well. You can also select a wide variety of tops from stone to laminate. You can have your vanity on a base or freestanding the choice is yours. We provide the client with a range of choices of doors finishes from sliding mirrors to polyurethane swinging doors. Whatever product they want we can deliver. We sit down with the clients and workout a layout for their wardrobes to see how much hanging space, how many drawers and shelves they desire. Our wardrobes are made from only the highest grade products and are installed with the finest quality workmanship. Everything is custom designed to your individual needs and we pride ourselves to do our very best to go above and beyond. Anything your imagination can dream of, we can create. We pride ourselves solving detailed design challenges. Office fit outs, Shelving, Bedheads, Coffee tables, Desks, Cabinets, Fixtures - Timber, Glass, Stone, Plastic, Stainless Steel - there is nothing that is impossible. Any design you want we can create by sitting down with the client and working out their wants and needs. Whether it is simple storage solutions or detailed innovative joinery, we can design and create it. Our Entertainment units come in a variety of colours and finishes ranging from a glossy lacquer finish to melamine-faced particle board in a wide variety of wood finishes. Entertainment units can be freestanding, have a base or can be mounted to the wall.